Nothing is more wonderful on a Saturday morning than coming downstairs to the smell of some sort of dough cooking in the oven and coffee ready to go. This wonderful thing happens because there is another person that makes your house a home and that person loves to work on breakfast items. There was a point in my life when I thought that I always wanted to live alone for a bunch of different reasons; like sole control of the remote, deciding what night is going to be Doritos and wine for dinner and whether I could sit for a few hours and play on the computer without judgment. I know now that the only thing that is different is that I really don't have sole control of the remote. There haven't been too many nights that are Doritos for dinner, but I have been sitting at the computer for a few hours now playing on the computer and there isn't any judgment. Along with life not changing too much, I get the added benefit of fun breakfasts treats. 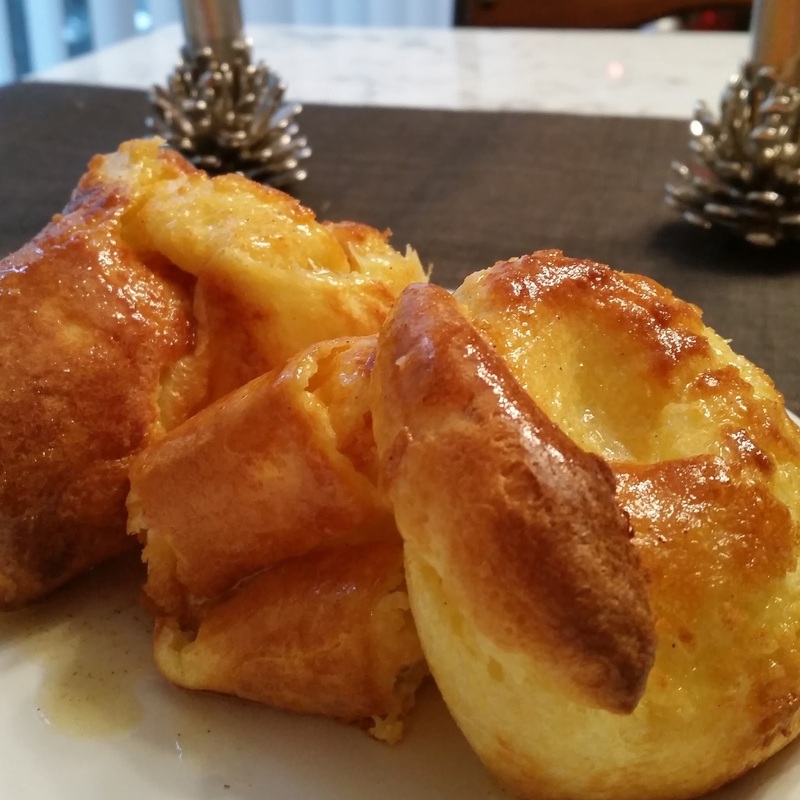 It was inspired while we had Food Network on and watching Farmhouse Rules and her Yorkshire Pudding recipe. We didn't have the fat from cooked beef, but melted butter works great. Heat oven to 450 degrees and place a pop-over pan in the oven for 10 minutes. Whisk 2 eggs in bowl until frothy. The whisk in milk. Add flour, salt & pepper and whisk until smooth. 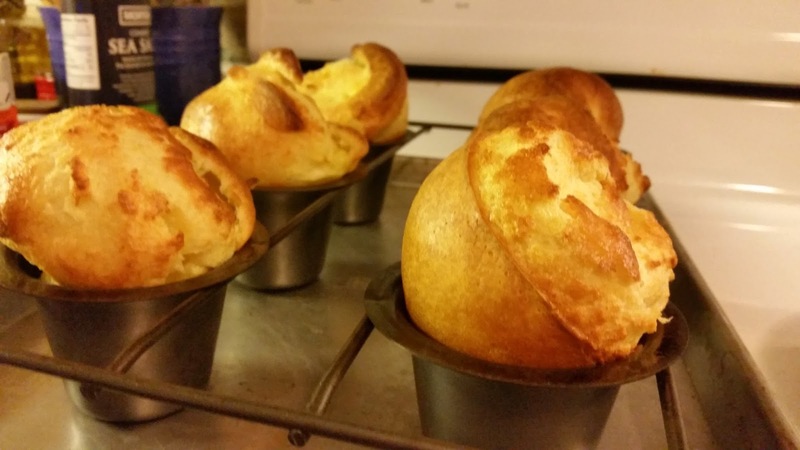 Put a little melted butter in the bottom of each pop-over cup and fill with batter half way up each cup. Bake in the oven for 30 minutes. Serve right away with spiced butter. Enjoy! **Recipe from Food Network Farmhouse Rules.